Prior to the advent of DSLR video, having interchangeable lenses on a digital video camera was a privilege reserved only for the likes of Peter Jackson and Hollywood’s elite. The 5D MkII gave consumers cinematic possibilities that rivalled the most expensive digital cameras of the day. Alongside super shallow depth-of-field and incredible low-light performance, came a rich lens library that extended deep into the archives of photographic lens manufacturers. Today, we are spoilt for choice when it comes to compatible glassware, regardless of whether you’re shooting on a DSLR, mirrorless body, or professional grade video camera. Yet having such a wealth of choice is a blessing that can at times feel overwhelming. However, it’s always worth remembering that the majority of lenses are designed with photographers in mind. When choosing lenses for video, and more specifically, the kind of video that you will be shooting, your options will be greatly reduced. Aperture refers to the diaphragm within a lens, which opens and closes to control the amount of light that passes through. It is calibrated in f/stops and written in number form such as 1.4, 1.7, 2, 2.8, 4, 5.6, 8, 11, 16. The lower the number, the wider the opening, and the more light can pass through. Apertures are constructed using a series of blades that combine to form a circular opening. The more blades you have, the more perfect the circle, and the more pleasing the bokeh (the out of focus portion of the image). Generally speaking, you’re going to want as fast a lens as possible (a lens with a wide aperture, allowing for faster shutter speeds). Remember, unlike photographers, you don’t have the flexibility of lowering your shutter speed for exposure. So having an aperture of f/2.8 or larger, means that you’ll be able to shoot with less light at lower ISOs. That means less noise and potentially the difference between getting a shot and not. However, with incredible advancements in technology, ISOs are being pushed further than ever before. The Sony A7s has an ISO range of 100-102,400, allowing for clean and really usable shots up to around 12,000 ISO. One of our favourite lenses to use with this camera is the Canon 24-105mm f/4L, for its usable zoom range, excellent sharpness, and flattering portraits. However, for the sake of flexibility, give yourself as much leeway as you can, and go for the fastest lens you can afford. It’s also worth remembering that lenses don’t perform at their best wide open, so you’re going to want to go a couple of stops down for best performance, particularly when shooting on a full-frame camera. Crop-sensors like APS-C only use the middle portion of the lens, where this isn’t so noticeable. Focal length refers to the distance between the point of convergence (focus) within a lens, and the camera’s sensor. In simple terms, it indicates how wide or how ‘zoomed in’ your field of view will be. The distance is measure in millimetres (mm), with higher numbers indicating a more zoomed or telephoto lens and lower numbers indicating a wider lens. The focal length you choose will depend on what you’re going to be shooting and what creative feel and aesthetic you’re trying to achieve. It is useful to bear in mind that the human eye has a field of view similar to that of a 50mm focal length lens on a 35mm or ‘full-frame’ camera. This has earned it the ‘standard lens’ title. Therefore, if you’re only going to own one lens, it should probably cover this focal length. Anything below 50mm is considered wideangle and anything above is considered telephoto. However, remember that if you’re shooting on a crop sensor camera, you’ll get a tighter field of view from the same lens. So a 50mm lens on an APS-C sensor, with a crop factor of 1.6 will have the equivalent focal length of an 80mm lens (50 x 1.6 = 80). Prime (fixed focal length) lenses tend to be cheaper, faster, and of better optical quality than zooms. Their simpler construction means that they can be optimised for excellent performance at one focal length, as opposed to zooms, which have to perform at multiple focal lengths. Simpler construction also equates to less cost. However, you’re going to need several primes to cover the equivalent focal range of one zoom. This can make zoom lenses a more economical purchase in the long run. Filming with primes is not always the most practical solution either. If you intend to shoot a lot of run and gun type documentaries, news footage or sporting events, stopping to change your 85mm prime to a 200mm telephoto may not be possible. Having the ability to alter your focal length with the flick of a wrist is essential in these types of environments. For indie filmmakers however, this may be less of a concern. Some will also argue that using primes will make you a better shooter. Having to move your feet, or pause to change lenses will certainly make you consider the shot more carefully than simply zooming in or out from a static position. Constant aperture: be sure to choose a lens with a constant aperture throughout the focal range. A lens that states something like f/3.5 – 5.6, means that at its widest it’ll be f/3.5 and at its most telephoto it’ll be f/5.6. This means that as you zoom, your shot will get progressively darker, making it unusable for zoom shots. Internal zoom: If you’re ever planning on using a matte box with your lens, you’ll want the zoom mechanism to be internal. Otherwise your zoom may extend beyond your lens hood, or potentially through your expensive ND filters! Fully manual vs fully modernised image stabilised electronic super-lens! If you’ve ever seen a highly desired, highly expensive cine prime lens, such as those in the Arri/Zeiss Ultra Prime range, you’ll notice that they are entirely manual. There is no autofocus or image stabilisation; even the aperture is controlled manually with an external ring on the lens barrel. If you compare this with the majority of modern photographic lenses on the market, you’ll see that the opposite is true. Photographic lenses are designed to have increasingly fast autofocus, image stabilisation systems, and electronic apertures that increase the cost of a lens dramatically. These functions will be largely unnecessary for videographers, although, if you shoot a lot of handheld stuff, having an image stabilised lens could be very useful, especially with telephoto lenses. Some cameras have internal image stabilisation however, and lens-based image stabilisation can be noisy – not ideal for audio! So ask yourself whether you need all those mod cons, or whether you’d be better off going for a fully manual, or largely manual lens. Whilst cinema primes cost extortionate amounts of money, many old vintage lenses can be picked up very cheaply indeed. Many of these have the same, or sometimes better optics than their modern counterparts, so don’t be put off by their age. One of our favourites is the Carl Zeiss 50mm f/1.7 Planar T*, made for the now obsolete Contax/Yashica brand. With the right adapter, vintage lenses can be made to fit any modern camera and their aperture rings can be de-clicked for that smooth cinematic aperture control. The fact that vintage lenses still retain such desirability and quality of image demonstrates that lenses are a long-term investment. When taken care of, lenses will outlive your camera body by decades. Camera technology moves with increasing speed and if you haven’t already upgraded your camera body in the time you’ve been collecting lenses, you probably will soon. Whenever choosing lenses then, it’s worth considering what you’re going to be shooting on in the future. Not all lenses are suitable for full-frame cameras for example, so if you’re shooting on a 760D, but considering upgrading to a 5D MkIV at some point, it may be worth avoiding the EF-S range. Canon’s EF-S line of lenses is designed specifically for APS-C sensor cameras, and would result in severe vignetting on a full-frame camera. 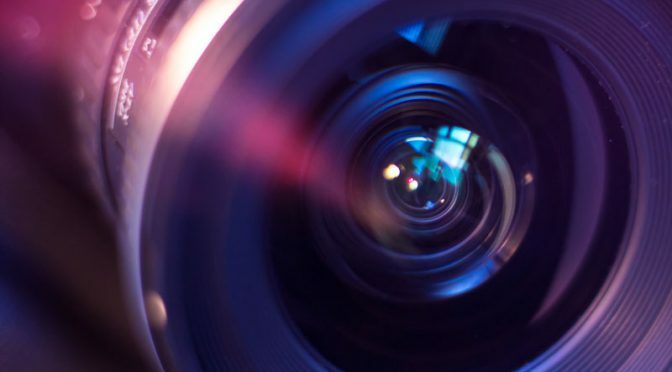 Eventually, you may decide that you want to upgrade to a dedicated video camera, perhaps even of a different brand to that of your lens collection. In most cases, a lens adapter will enable you to transfer your collection to your new camera body and still retain most of their functionality, or at least enough for manual focusing video shooters! So when lens shopping, choose wisely, think long-term and expect your collection to never be complete!